On the one hand, our rapidly developing economy transforms scientific and technological advancement, irreversibility as well as difficult adjustability within liberalizing global activ­ity into powerful instruments for top management of multinational corporations in terms of economic value creation. On the other hand, this economy gathers human beings especially as moral subjects (and not just economical objects); moreover, human beings with dia­metrically distinct cultural and religious (i.e., moral) orientations. That means, managers necessarily need to apply and justify responsible and consistent use of their instruments (i.e., ethical value creation/consideration). Is this not the case, efficiency principles of so called “theories of management ethics” relate exclusively to the economic side (but not to the ethical one). At first, this interdisciplinary diploma thesis therefore defines four variables (disciplinary integration, theoretical integration, justification and application), which an integrative or interdisciplinary theory of academic management ethics necessarily needs to have. Second, two concept of management ethics are analyzed, that both rise the claim of be­ing such a theory. 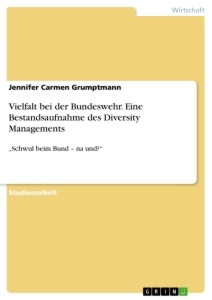 The first concept (corporate social performance) is positive-economically biased, whereas the second (integrative management ethics) is normative-ethically biased. The thesis finds, at first, that the former concept completely lacks of justification, whereas application is very high. The latter concept is completely justified but still lacks in applica­tion. Secondly, disciplinary integration and theoretical integration are positive correlated to application and justification until a certain degree. Third, the cognitive state of universal- ethical-principle orientation must be set as the presupposition for the formulation of theories of integrative or interdisciplinary management ethics within academia. However, within (economic) science there persists a social task not in the design of new tamer-languages for the purpose of soul solace but, to the contrary, to tutor the critical faculties concerning mere rhetoric and the wretchedness of tentative commonplace. The aim of this diploma thesis of general business administration is, to investigate the two relating questions: “what practically is management ethics and how can it get evaluated?” Therefore, we primarily elaborate a methodical framework to analyze such concepts. 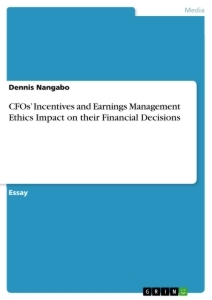 As concepts of academic management ethics should minimally satisfy the interests of its con­stitutive subjects (business administration and philosophical ethics), these concisely get described as well as their possible relation within an integrated (combined) theory (sec­tion 1). 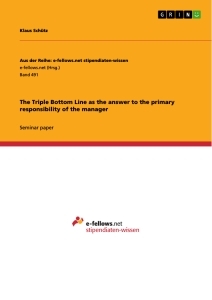 Sequentially, we separately analyze two representative concepts of management ethics, first in a descriptive, then in a critical mode, by means of the latter framework: the concept of corporate social performance (CSP), that is rather economically biased (sec­tion 2), and the concept of integrative management ethics, that is philosophical-ethically biased (section 3). In the end, we compare the results and conclude the investigation (section 4). Economic efficiency - The principle of economic rationality demands, that a certain aim be reached by means of the least input (minimum principle) or that the highest aim be reached by means of a certain input (maximum principle). 9. are related to new questions, which are not yet conceptualized. The word “management”, is derived from the Latin root of its verb manus agere in the sense of “to handle” or “to control.” That there is such a wide use of the word management, supposable reflects this original (rather technical) meaning, which is highly methodic, it is a technique (that offers means to access ends). Management method­ically combines different approaches for this purpose. As agents of the corporation, managers have the following functions, to perform related to their principals best inter­est (the function of management): development of corporate goals, corporate principles and corporate culture; formulation of the corporate strategy; controlling; organization; human resource management and negotiating. Therefore, management is promoted by the following support systems : risk management, crisis management, mergers and acqui­sitions management, innovation management, quality management, ecology orientated management; diversity management. Moreover, management utilizes cost management techniques, forecasting and planning techniques, and pursues information and knowledge management. The latter manifests in the practical behavior of management related to its environment (the process of management). Generally speaking, management theory of academic business administration provides guidelines concerning the economic aspect of human behavior and hence, offers specialized knowledge related to the management of corporations. Theories of business adminis­tration are to be seen as “the insights of one scientific community” within the body of science. They need to fulfill certain criteria to be a theory of business administration respectively a scientific theory. Ethics, as the second part of the combined term, can be divided in three areas, reflecting the respective cognitive interest: First, descriptive ethics describes the various appear­ances of moral or custom within behavior and formulates corresponding empirical theories. This is an issue of history, ethnology, psychology and sociology. Second, the intention of normative ethics is to critically question the respective prevailing moral and to reason principles and forms of good moral behavior. Third, meta-ethics, intends to critically analyze linguistic elements and general formulations of moral declarations. Normative- as well as meta-ethics are issues of philosophy. The scientific origin of philosophical ethics goes back to Aristotle. Within his established, philosophical tradition, ethics, besides its narrower sense, analogously is to be seen in its more comprehensive sense, which contains politics and economics (as ethical subdisciplines). The object of the investigation of ethics is moral or morals (Lat. mores: custom, character). It reflects the normative principles. That constitute human being’s mode of existence, concerning primarily the behavior, when relating to fellow man, but also to nature and oneself. Accordingly, morals also manifest with the constitution of public institutions (property, family) and, with the “lived” (not postulated) economic, social, political, cultural and religious order. Distinct from law, morals are determined by a historical grown form of life, neither coming from formal acts of the state authority, nor is connected to punishment, that immediately concern someone’s life or property. Moral rests upon a general consensus (respect of the human dignity, negation of coercion, decline of suffering; i.e., responsibilities of humanity) and, because of the corresponding tolerance, lie argumentatively open for particular groups with competing morals. In the sociological perspective, morals serve the integration and stability of social systems. By reason of new life conditions as well as due to the claim of a humanitarian existence, morals are always supposed to be open to change and critique. The adjective “morally” refers instead to morality than to moral. - the transcendental method (Kant, Fichte). Modern ethics as a project of analytical philosophy or rationalist moral theory (seen as one scientific community within the body of science), probably is best characterized as a “repatriation of ethics to rationality”. Such a theory is, so to speak, a theory of reason(s). The logical consequence of this holistic scope is the impossibility of narrowly or axiomatically defying the subjacent normative ethical rationality (or even efficiency) without reducing it somehow. Management ethics is a discipline that rather has to be regarded as a combination of two disciplines, as it is not yet established as an autonomous subject within academia. 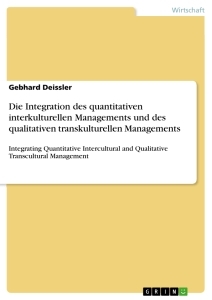 A concept of management ethics, therefore, necessarily has to close a disciplinary (from ethics to economics) gab, but also a theoretical gap (from ethical, rather normative, theory to economic, rather positive, theory) if it claims “integration” in any form. 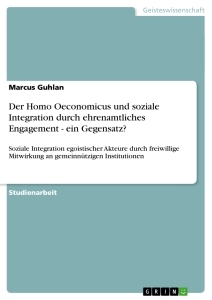 The author finally notes, that “although the epistemology of transdisciplinarity may be relatively clear, its applicability as a methodology in the social sciences still suffers from deficiencies.” We can conclude, that this metatheoretically should apply to the under­lying aim of integrating ethics with economics. If we consider Figure 1, we talk about an integration of a discipline of the upper, with a discipline of the bottom level. 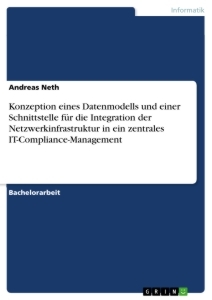 That means, we must suppose a weak form of transdisciplinarity for an integrative model ac­cording to Max-Neef (2005). The latter author does not give a systematic and explicit pattern to proof integrated attempts. His remarks remain quite general as he discusses transdisciplinarity for the entire scientific body. 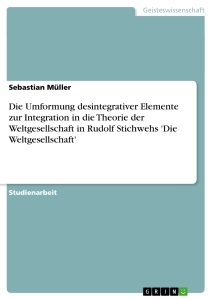 However, his conduct can be used as a basic framework for the analysis of concepts claiming theoretical integration. Theoretical reciprocity - “wherein an overall explanatory framework incorporates both em­pirical and normative theories, and where the framework’s success in providing either an empirical description or normative evaluation of some phenomenon depends, respectively, upon its normative or empirical adequacy. To acquire the critical criteria of an integrative theory of management ethics by deciding “how much business/ethics” and “what sort of business/ethics” integrative management ethics necessarily needs, to generally be such a theory and especially be such a good theory, we take the concept of adjudicative critique from Höffe (1994) as an orientational pattern. It originally relates to the critical analysis of innovative research (e.g. innovative concepts of molecular biology). 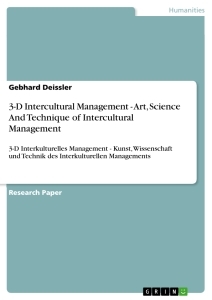 As we think, it represents a professionally reflected framework to critically and integratively assess transdisciplinary and academical concepts of management ethics. Concisely described, the concept of adjudicative critique operates beyond mainstream affirmative critique (of “political moralization” tending to “release research from ethics” and often is applied by practicing scientists but also politicians). However, it shall also operate beyond mainstream negative critique (as the “traditional critical theory” that re­mains at the principles and therefore reflects rather the usus of the critical philosopher). Put simply, it wants to operate within the latter’s overlap. By conducting a “double strategy” adjudicative critique wants to discuss the philosophic-ethical foundations with­out escaping from the level of appliance. 1. Business ethics has to bridge “Is” and “Ought” towards a fruitful tension that results in learning processes in business and societies. 2. Business ethics has to provide us with “good reasons” to undertake certain actions and avoid others. This reflect, for example, concrete decision-making processes (by managers) and the clarification of the role of business as an economic and political agent. 3. Business ethics has to provide us with “good reasons” to “build” institutions in one way and not in others. This reflect the clarification of institutional arrangements that support individual and organizational moral actions in an appropriate manner. 1. Business ethics has to develop ways of thinking about ethical issues that are not limited to the issue of profit maximization, but reflect ethical issues against the background of the interest of all effected persons or groups (moral point of view). 2. Against the background of an enormous cultural heterogeneity in a diverse moral world, business ethics has to develop a moral point of view that take into the current practices of the actors within a given society or community without accepting relativism between moral values. 3. Business ethics has to develop moral principles that are consistent with each other. As, “there is nothing more practical than a good theory” especially in terms of man­agement, a concept of management ethics not just needs to be well applicable, but as well needs to satisfy the basic criteria for a scientific theory. Since we assume, theoretic- ity and the above mentioned explaining variables are connected, a lack of the latter get automatically penalized. To begin the analysis of the corporate social performance concept, it is worth mentioning that Frederick (1978) illustrated a clear picture of the situation of management theory which is facing questions concerning the relation of the broad field of business with society. 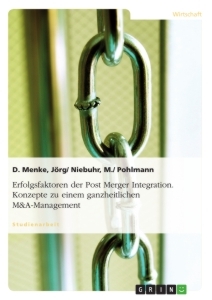 This work is important for the following CSP research of management theorists (nearly exclusively professors for management of North-American graduate schools of business administration) concerning the business-society relationship. A brief scan of the former, therefore serves as a good foundation for a closer understanding of the latter. The initial point of Frederick (1978) argument is a difficult to define term called corporate social responsibility. It took shape sometime in the 1920’s when business repre­sentatives made it public, that it is important for business managers to service more than just the stockholders, but also principals from somewhere within society (so-called “social claimants”). Hence, they would face the “obligation to provide ‘service’ beyond profits.” What kind of service, is anything but clearly defined. However, you could say, it is volun­tary or has to do with a certain “philanthropy” or “social betterment.” A quasi definition of corporate social responsibility (called from now CSR1) in the sense of Frederick (1987) can be given as follows. - The corporation acts as an agent of moral principles, which get determined by highly normative methodology (for example, critical normative discernment). This result is unsatisfying for management theory, as its theoretical aim, normally is the elaboration of applicable value maximizing concepts (concerning the corporation, resp. its stakeholders). The quality of such concepts depends on their efficiency. As follows, CSR1 cannot be effective in the sense of mainstream management theory. Hence, the theory faces sever difficulties working with this concept, because of incommensurability^. Whereas the incommensurability of paradigmst, according to Thomas S. Kuhn, must neither represent “limited objectivity [n]or continuity in a field (post-paradigm scientists go out of their way to demonstrate continuity to their students).” Hence, scholars of one theoretical family are prone to get stigmatized by the others, because of strongly diverting axiomatic assumptions (vice versa). This is the case although they may share the same object of investigation and could maybe prosper by mutual insights. 1. The content of CSR1 is nearly nondescript. 2. The institutionalizing of CSR1 is nearly impossible. 3. The relation (possible trade-off) of CSR1 and economic efficiency is indistinct. - The corporation acts as an agent for the socio-economic most relevant principals, which get determined by positivist economic methodology. - Primacy of the sensually perceivable. - Disintegration (outsourcing) of normative ethical questions. - Instrumental defect concerning an autarkic deliberation of normative ethical questions. CSR1 and CSR2 reflect the polar ends of the socio-economic discussion related to the (American) foundations of the corporate social responsibility concept. However, as eth­ical rationality as well as economic rationality both are supposed to be entrepreneurial relevant, Frederick pointed to the hope and possibility for a future theory, comprised from CSR1 and CSR2 (to some kind of CSR3). In the following subsection it is described how accomplishing this was tried using three central attempts, which together formulate the CSP concept. The main contribution of the conceptual paper of Carroll (1979) to the CSR discussion, first, is to distinguish and collect three different aspects of general CSR viewpoints and second, to gather them into a three-dimensional model. The outcome of this CSR re­formulation is the model, which he defines as indicating corporate social performance (henceforth, abbreviated as CSP). Schneider (1987), p. 39; tr. by the author. As this thesis exclusively discusses business management theory, with the term “management”, hence­forth the latter is meant. Doring and Wohe (2005), p. 2; tr. by the author. Cf. Neus (2005), pp. 3-7; emphasis added; tr. by the author. Ibid. ; tr. by the author. Ibid., p. 12; tr. by the author. Cf. Schneider (1987), p. 38. Henceforth, efficiency is used analogously to the principle of economic rationality. Cf. Macharzina and Wolf (2008), p. 43; tr. by the author. Staehle (1999), p. 71; tr. by the author. Cf. the overview of nine different definitions of management by the contemporary management literature, which Macharzina and Wolf (2008), p. 36 give. Cf. Staehle (1999), pp. 72-73. In the case of non-incorporated or private firms, they, so to speak, act as “their own agents”; man­agement theory, however, relates instead to incorporated companies. Cf. Macharzina and Wolf (2008), pp. XVIII-XXVI; tr. by the author. Cf. Macharzina and Wolf (2008), p. 117. Schneider (1987), p. 37; tr. by the author. Cf. Hoffe (1992), pp. 61-62; tr. by the author. Hoffe (1992), pp. 185-87; tr. by the author. According to Aristotle, moral virtues are not rigid or objective computable patterns of behavior. They are the differences relative to temperament, ability and location-open approaches to newly and autonomously find “the right middle” within the respective socio-cultural and personal situation between the two extremes excess and lack, in which the human being would miss her/himself (Höffe, 1992, p. 281; tr. by the author). Hoffe (1992), pp. 181-85; tr. by the author. Max-Neef (2005), citing Schulz (no date). It is important to understand this terminology correctly. With mere empirical theory of business ethics they, e.g., refer to “management research on the punishment of individuals in organizations [that] is dominated by behavioral learning theory perspectives that focus almost exclusively on whether or not punishment is effective (in the sense of controlling or changing behavior), rather than on whether or not it is morally proper.” (Cf. ibid., p. 131.) Such a theory of ‘business ethics’ obviously has not very much in common with any ethical rationality, i.e., ethics in this case is not used in an scientific or analytical sense of modern philosophy, but rather describes some random practical method (in the latter case - of business) independent of its normative ethical justification. Distinct to such custom, within the diploma thesis the word ethics refers to the terminus technicus of modern philosophy. Cf. ibid., pp. 129-30, 135-137; my emphasis. Cf. also Schumann (2004, pp. 156-60) for a more economic-ethical interpretation. Concerning new scientific technologies and their critical justification Höffe (1994, p. 51) conducts (tr. by the author): Due to the yet unknown risks and hence eerie threat, risk research may need to transfer, first to a known and therefore, manageable risk and, second, to a controllable one. As long it [justification/reasoning] is not successful in both steps, new methods of science are ethically as responsible as cars, which are relinquish to traffic before anyone considers if they need brakes. Beschorner (2006), p. 128; emphasis added. I.e., corporate social performance concept. It is situated within the CSR (corporate social responsi­bility ) research tradition. Cf. Frederick (1978), p. 151-154. In the words of Frederick (1978), p. 155 (emphasis added): The many philosophic imponderables of the CSR1 debate - why? whether? for whose benefit? according to which moral principles? - are replaced by the more answerable considerations of CSR2 - how? by what means? with what effect? according to which operational guidelines? Cf. Frederick (1987), pp. 160-61. Cf. ibid. ; with Frederick (1978) and the CSP scholars, the term “business-society relation­ship/question” refers to corporate social responsibility in the broadest sense. Cf. Carroll (1979), pp. 399-401. Discretionary (according to the dictionary): Decided according to the judgement of a person in authority about what is necessary in each particular situation; not decided by rules (Wehmeier, 2005, p. 235). I.e., if there is no demand for social responsibility formulated, there is no social responsibility for the corporation to which it may respond (with supply). “For example, product safety, occupational safety and health, and corporate ethics were not of major interest as recently as a decade ago” (Carroll, 1979, p. 501).